‘When Harry Met Sally’ is one of my all-time favorite movies. It’s one of those movies that I can watch over and over again, and I probably quote it on a weekly basis. For example, ‘do something resembling anything’ is often used in the context of wishing the kids would help clean up after themselves (though the original line is ‘draw something resembling anything’. ‘Please report to me’ is a directive statement said in jest when I want the hubby to come help me with an arduous task. Aside from the above, my husband and I often just joke about similarities we (or someone we know) share with one of the main characters. I’m totally the ‘high maintenance’ kind that Harry speaks of. When we go to our favorite Mexican food restaurant, my order is always the chicken rice bowl with grilled chicken, the red rice instead of the white, and no onions or peppers on top. Oh, and I like the guacamole ‘on the side’. My other half cares that I love him, feed him, and support him, the second of the three being my strong suit. Recently, it seems I’ve been coming across more and more information on genetic engineering and the associated foods that are most affected, among them corn, soy, and wheat. 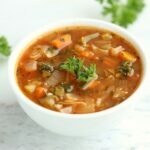 While I personally am not allergic to wheat, I have recently been using spelt in more and more recipes, as I am not a fan of someone else tampering with my food. If you’ve shown allergic to wheat but not gluten, consider spelt as an option. It’s delicious and it resembles wheat in taste to such an extent that I don’t know if I could tell a difference in a blind test. What’s even better for my family is my wheat-sensitive daughter tolerates it, and with our tortilla obsession here in the southwest, my first likely recipe makeover was already determined. 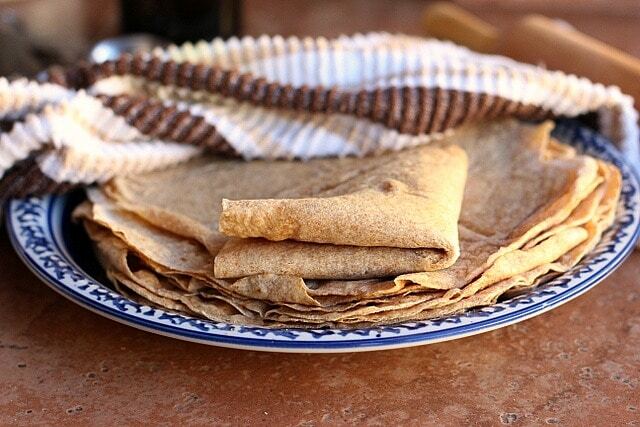 Only five ingredients needed to make these flexible, whole grain tortillas. Cut in the olive oil (the mixture should be 'pebbly' in texture). Stir in the water, starting with 3/4 cup, adding more as needed. 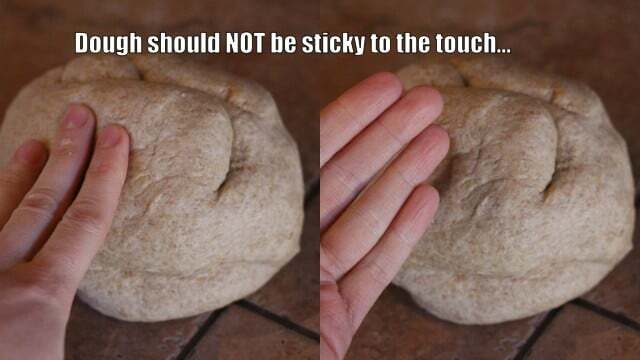 The dough should be moistened, but NOT sticky to the touch (see picture below). Knead the dough for 1-2 minutes, until all of the ingredients are well combined. 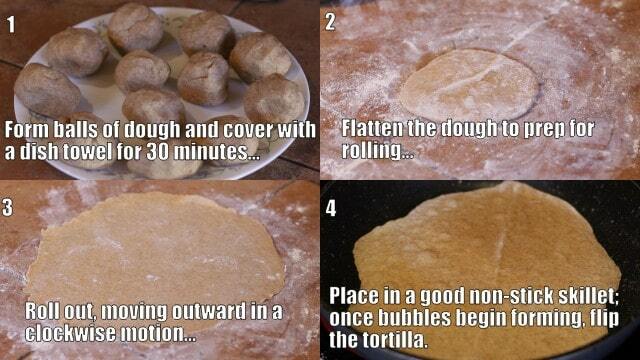 Make a large ball out of the dough. Cover it with the same bowl you used to mix the ingredients. Heat a large non-stick pan over medium high heat. Make 8 smaller dough balls (don't knead them). 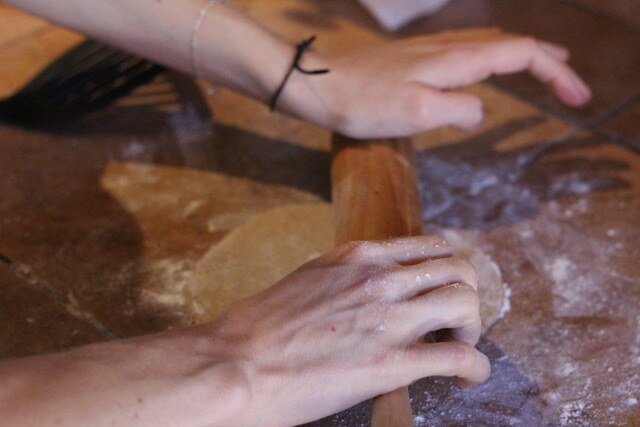 On a well-floured surface, roll out each ball of dough into a tortilla. Place the tortilla onto the pre-heated pan. Cook until you begin to see bubbles form (about 20-30 seconds). Flip the tortilla and heat the other side for about 5-10 seconds. Carefully place the tortillas on a plate, and immediately cover them with a clean dish towel (this traps the heat, keeping them soft). Eat immediately or store in a sealed, Ziploc bag in the fridge, to maintain pliability. The key step here is covering the tortillas as soon as they are cooked. This is what creates their ‘soft and pliable’ texture. 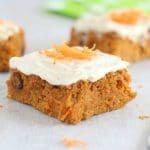 I’m so happy that I can make a batch of these and we ALL can enjoy them! 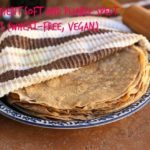 Previously, I would make these Rustic Whole Wheat Tortillas, which I love, but Jadie would become red and itchy, so I’m thrilled to have an alternative for her (and one that helps us avoid a possible health detriment). 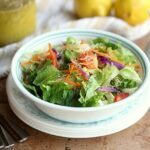 Do you avoid GE foods? 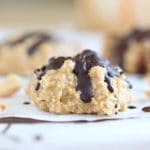 Hi Lauren — Thanks for the recipe! 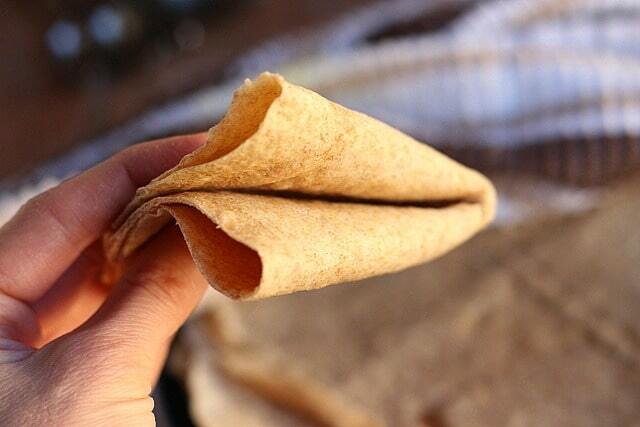 But how in the world do you get the tortillas to roll out evenly? I started off by pressing the balls in a cast-iron tortilla press, which made them perfectly round — but only about 4” diameter and too thick. I tried rolling them, but they basically became flat spelt amoebas. I also tried running them through my pasta machine, but it’s too darned narrow and creates nice flat spelt cow-tongues. (It was quite the experimental odyssey.) Any rolling techniques to get them to resemble proper circles would be greatly appreciated. These were the crunchiest tortillas I’ve ever made. Super disappointed. I followed the recipe exactly and they were literally falling apart. The towel cover did nothing. How much water did you add Heather? The recipe isn’t ‘exact’ in that regard, and it sounds as if you needed a bit more. l should I make the balls to flatten? You should have 7-8 equal sized balls. Hi Lauren! How long can I keep these for? And do they freeze well? I eat these all the time! 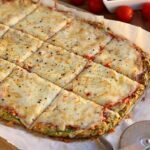 This is my favorite tortilla recipe and i am a tortilla fanatic!!! 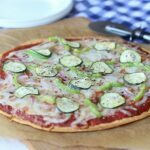 I’m so happy to have a truly whole grain tortilla recipe, thank you! Just FYI, the header is misleading. Spelt IS wheat. 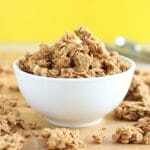 It’s an ancient wheat grain and much gentler on the body…but wheat nonetheless. I enjoy it greatly, but those with celiac should avoid! Awesome. Just wouldn’t want anybody to get sick if they have a severe allergy to wheat of any kind. Thanks for the recipe though. This will save me a FORTUNE! Hi there, these tortillas are very good!! Thank you so much for posting. They came out quite crispy, which made for some messy eating, but it was still worth every bite. Any idea why I made them crispy? I am so confused. I input the ingredients into weight watchers and it is telling me the tortillas are 5 points each but then I input your nutrition information you wrote and it says 2 points. Where am I going wrong? Wow, I was way off here, not sure what happened. Sorry about that! I’ve fixed my numbers now, so hopefully this lines up with what you’re getting as well. 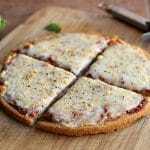 Lauren thank you for another great recipe! I was just looking last night and found that my favourite tortilla chips were gmo. I haven’t noticed because I was so worried about gluten free and dairy free and nut free and sometimes it feels like I can’t eat anything, so I was really irritated when I saw that. I do not understand how food companies can get away with putting gmo in our food and calling it natural or not labeling it at all. So now I have to revamp my pantry to double check. The tortillas I use do not claim to be gmo free so I am so happy you posted this as I was wondering how to make some. 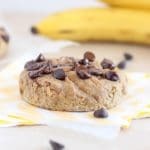 I do not know if I have a gluten allergy or if it is more of a yeast thing, but either way I am going to try these, but I think I might try them with buckwheat flour as well if they are any good I will post back to let you know, or have you tried them already and it didn’t work? Yes, the more I learn about GMOs and how food companies try to hide if they contain such ingredients, the angrier I get! 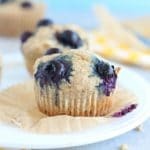 I haven’t tried these with buckwheat, but please let me know if they work for you! I like using spelt and all kinds of other grains, which I also grind, BUT I find my spelt doughs are very sticky. To be more accurate, this happens when I substitute spelt in recipes calling for wheat. Do I understand from this that spelt requires less water than wheat? Do you more-experienced bakers have any tips for me? I haven’t had trouble swapping wheat for spelt, so I’m not sure what’s happening. Perhaps there’s something with fresh-grinding (which I don’t personally do)? Could you give me a gluten free flour instead of spelt? You’d have better luck googling ‘gluten-free tortilla recipe’, as I’m not sure. It’s possible that gluten free oat flour would work as a substitute for spelt flour, plus a tablespoon ground chia sees to h ererlp with sticking together…not being crumbly. I’m not certain Linn, as I’ve not tried. 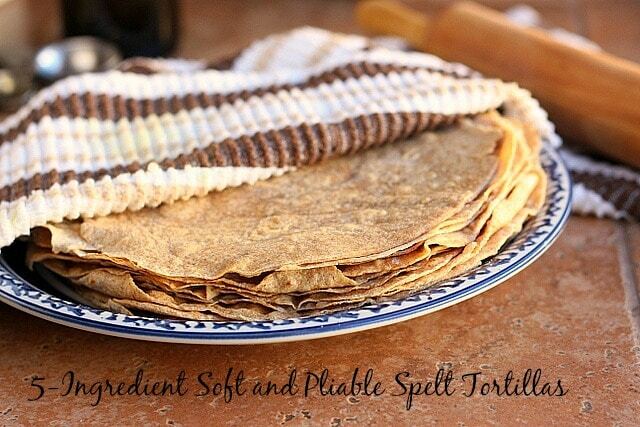 You might just google ‘oat flour tortillas’ and see if someone has had success! 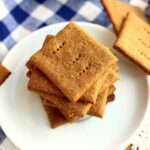 can i change out the spelt w/ chickpea flour if i wanted to? thanks Lauren! I don’t use spelt enough. Actually, now that I’ve been thinking about it I don’t think I’ve ever used it. I need to get on board asap. Thanks for the inspiration Lauren! I grind my own wheat and I have spelt, kamut, and a few other things I have ground. We LOVE the bread I have made from spelt. It has such a great taste. I have been adding it to pancakes and muffins also. I made have added it to cookies, but not sure.